Join J.D. Solomon and Alex Sidorenko on 3 May 2018 to debate whether risk matrices/heat maps have a place in risk management or should they be avoided like plague. For anyone following my blog for a while, you know how much I dislike qualitative risk analysis techniques in general and heat maps in particular. I have been quite an outspoken critic of using them to aid decision making for years. 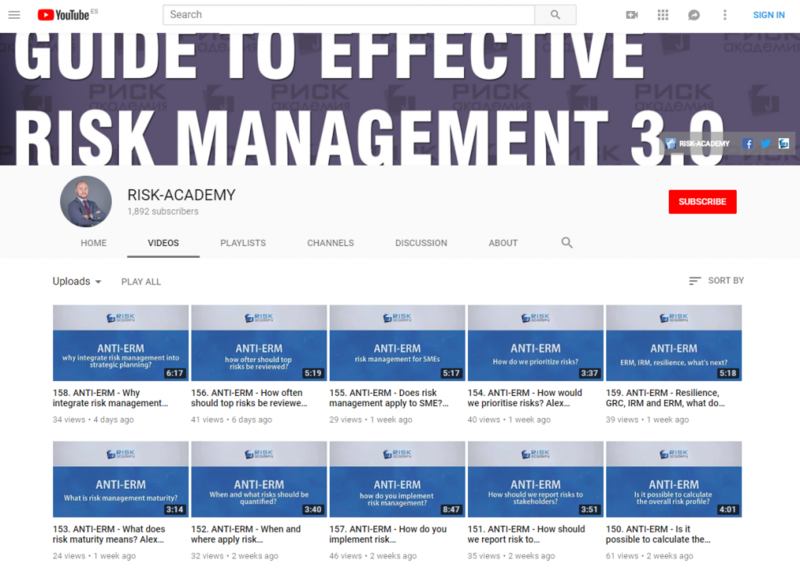 You can find quite a few videos on the topic on the official RISK-ACADEMY channel. And, of course, I love sparking controversy in LinkedIn from time to time. Whenever I do, however, I invite people to challenge me and debate. Today, I am very grateful that J.D. Solomon did. Join us for what promises to be a monumental debate. J.D.Solomon will argue that risk matrices are the “gold standard” for risk analysis in most industries and all of those people cannot be wrong. Risk matrices can be improved and a few tips will be provided. But immoral – no way! Qualitative can be just as effective as quantitative approaches. It is all about proper application and communication. I will argue that inherent flaws in the design of heat maps together with the cognitive biases that affect expert opinions are so great, that any use of heat maps is guaranteed to generate incorrect results and hence deceive the decision makers. There is literally nothing we can do to make them usable. J.D. makes some good points and I will respond to every single one of them, offering a better and easier alternative. J.D. Solomon, PE, CRE, CMRP is an engineer, planner, consultant, and facilitator. He specializes in decision analysis for man-made and natural systems. As a consultant, JD regularly communicates information to both technical and non-technical professionals. As a regulator and policy maker, he serves as a receiver of all types of information and establishes consensus among board members. JD is the author of the book, Communicating Reliability, Risk, and Resiliency to Decision Makers. Alex recently published his second risk management book called “Effective Risk Management 2.0”. Alex also regularly presents at risk management conferences in the Middle East, Russia and Europe. In November 2012 Alex short a series of TV programs dedicated to risk management in start-ups. Alex teaches risk management at major Russian business schools as well as corporate universities.